A burning life that we could tame. As lightning forks across the sky. 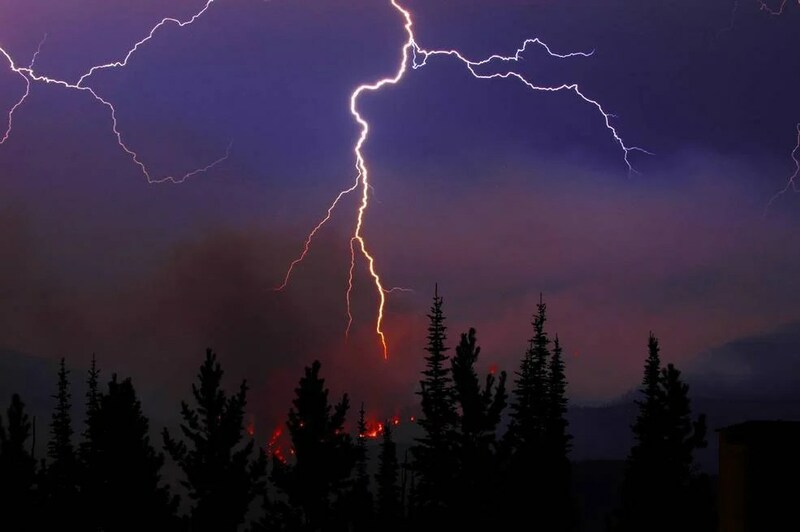 A lightning-caused wildfire burns in Alberta, Canada (Photo Credit: The Government of Alberta). This is a Rondel, inspired by recent research which has found that climate change is increasing the risks of lightning-induced fires. Whilst lightning strikes represent the most important natural ignition source for wildfires, they only account for a small proportion of total fire occurrence in many regions on Earth. However, they still present a significant danger to humans and ecosystems. The warming global temperatures brought about by anthropogenic climate change will likely result in higher evaporation and heat transfer, resulting in a higher frequency of convective storms, and with them lightning and the potential for lightning-ignited fires. However, until now there have been no large-scale studies that have linked warming temperatures and lightning-induced fires. By studying fire records across the Southern Hemisphere, the researchers in this study have revealed a strong link between lightning-ignited fire occurrences and rising temperatures since the beginning of the twenty-first century. A clear increase in the potential for lightning‐ignited fires in response to climate change is an important reminder of the variety of impacts that such change will have on the global Earth System. Very nicely done! And thanks so much for doing it!